The Patek Philippe Annual Calendar Regulator ref. 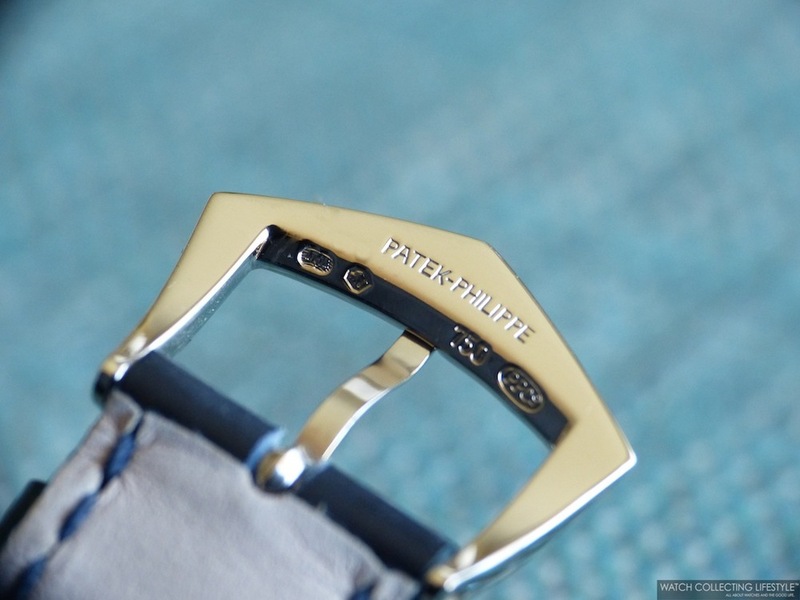 5235G-001 is the first Patek Philippe regulator watch from this manufacture. This exceptional timepiece fitted with a 40.5 mm white gold case and an in-house movement, is pure perfection at its best. Released six years ago at Baselworld 2012, surprisingly this timepiece is not one of the most popular references from Patek and nowadays is not even commanding a price premium but the complete opposite. As most of you know, a 'régulateur' a.k.a a regulator, is a watch with non-coaxial hour and minute hands, which means, that the hour and minute hands do not share the central pinion position on the dial but are independently placed. On regulators, the minute hand is traditionally the most important hand and it is typically placed on the central pinion at the center of the dial. The Patek Philippe ref.5235G-001 in addition to being a 'Regulator' is also an annual calendar keeping track of the day, date and month. Something quite unique about this watch, other than its highly complicated in-house movement, is the nature of its silvery vertical satin brushed dial with blue transferred minute track and indicators. This beautiful dial not only features a two-tone configuration —highly coveted among collectors—, but also the Patek Philippe name is not transferred but delicately engraved at 3 o'clock. The dial features a subsidiary running seconds with date aperture at 6, hour sub-dial at 12, minute hand on the central pinion and day and month apertures on the top of the dial. The finish of this dial is pure perfection and its pure silvery color is so unique that you will be mesmerized every time light hits the dial at different angles. Its round case with straight lugs features a satin brushed finished case band with a highly polished bezel and alternating brushed and polished areas around the lugs to create some of the most beautiful chamfers we have seen lately. The case band is fitted with three discreet correctors to ease the calendar adjustment functions. The Patek Philippe ref. 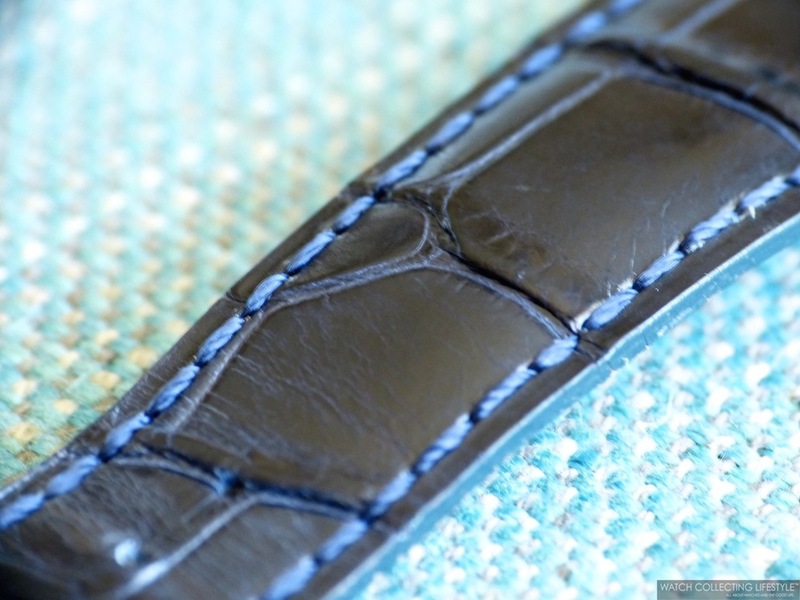 5235G-001 is fitted with a beautiful hand-stitched navy blue alligator strap with lighter blue contrast stitching. The strap features the pyramidal pin buckle with the Patek Philippe engraving on it, opposed to the traditional Calatrava cross. Now let's talk about the beating heart inside this amazing timepiece. The Patek Philippe Annual Calendar Regulator ref. 5235G-001 is powered by the automatic ultra-thin in-house calibre 31-260 REG QA. This amazing movement with a diameter of 33 mm and a thickness of only 5.08 mm is composed of 313 parts, 29 jewels, Patek's advanced micro-rotor, a Pulsomax escapement, a Gyromax balance and a Spiromax balance spring. The movement beats at a frequency of 23,040 vph and provides a power reserve of 48 hours. On the wrist, what can we tell you; there is nothing conventional about this watch and it wears true to its size with the utmost elegance and exceptional wrist presence. Next time your watch sneaks from under your sleeve while you are pointing at the presentation you are giving to those private equity investors from the UAE, make sure you are wearing this Patek Philippe Annual Calendar Regulator ref. 5235 to seal the deal. Sticker Price $53,600 USD. For more info on Patek Philippe click here. Posted on June 8, 2018 by Editor & Publisher and filed under Patek Philippe and tagged Patek Philippe ref. 5235G-001 Most Popular Patek Philippe Annual Calendar Regulator Patek Philippe Calibre 31-260 REG QA 2018 Top Brands Annual Calendars Mainstream Brands.